At Burrow Family Dentistry, our mission is to help each one of our patients achieve and maintain a healthy, beautiful smile they feel proud to show in any situation. 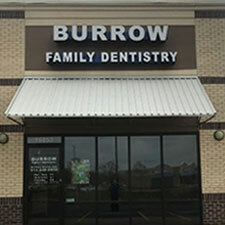 We provide comprehensive general, cosmetic, and restorative dental services to patients throughout the Shawnee area. We believe nothing should stand between you and the smile you deserve – least of all finances.